Tobie was uneasy when he joined the Winnipeg Jets Hockey Academy (WJHA) in Grade 5. “I was pretty nervous at first as none of my friends were in the program. My parents encouraged me to try and hockey turned out to be fun.” Tobie has remained committed since then and took advantage of every opportunity he was given throughout his time in the program. He was among the first students sponsored into minor hockey, played his first minor hockey game at the age of 13, and has become increasingly involved with minor hockey throughout the years. Tobie happily started volunteering at a local street hockey tournament, “filling up water bottles. It was a humble beginning, but eventually I had the opportunity to score keep.” After seeing his interest in timekeeping, the WJHA offered to pay for timekeeper training so that Tobie could start timekeeping at minor hockey local rinks in the evenings and weekends. The next year, he tried refereeing in the street hockey tournament and ended up enjoying the experience so much that he took the initiative to become a certified referee. Tobie now refs minor hockey. 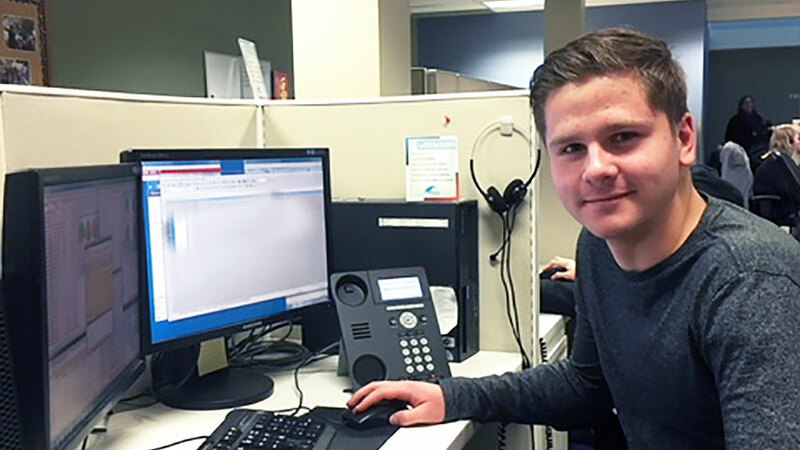 When one of the WJHA’s Living Philanthropy partners offered to hire a student as a summer employee, Tobie was a logical choice as he would both appreciate the opportunity and excel in the position. Tobie worked at Skybridge America for the summer and was quickly promoted into a supervisory position monitoring all of the service levels to ensure that the company is meeting the contractual agreements with their clients. Tobie made such a good impression that Skybridge has offered him a full-time position. He has paved the way for more WJHA students to be hired by Skybridge, as soon as this coming summer. As he reflected upon his involvement in the WJHA, Tobie recognized that “hockey is the door you enter to achieve the other opportunities; jobs, volunteering and friendships.” He met his best friend through the WJHA and is pretty sure that the new friendships he made “will last forever”.